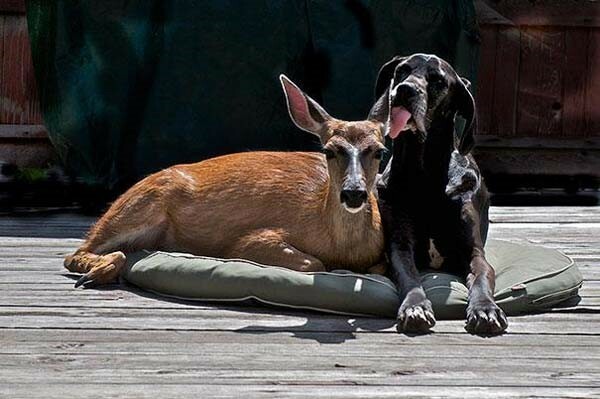 Look at these 15 unique animal friends. 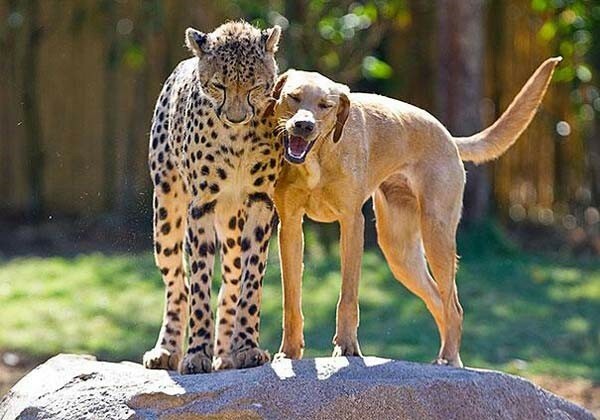 These odd couples couldn’t be more different from one another, yet they embrace their friendship. When do humans show such acceptance and love? 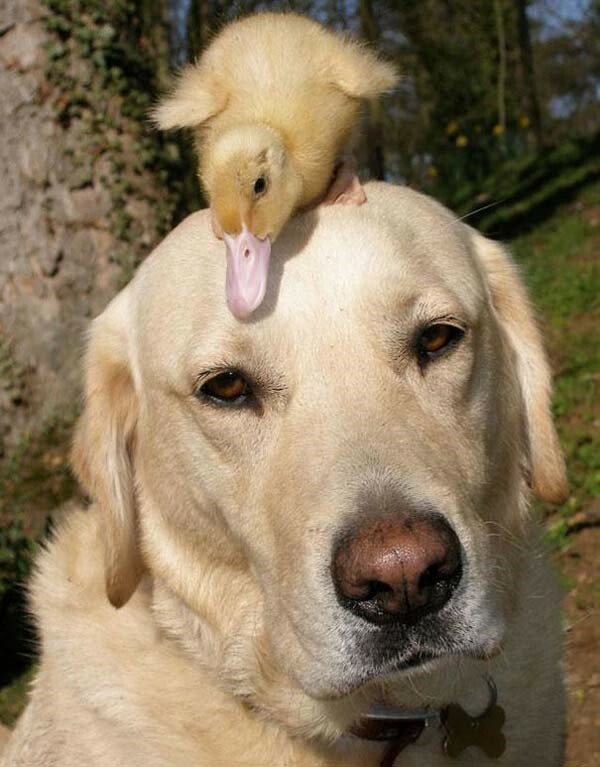 We should learn a thing or two about how to live from these adorable animal pals. These two met in the forests of Norway. And they hit it off right away. 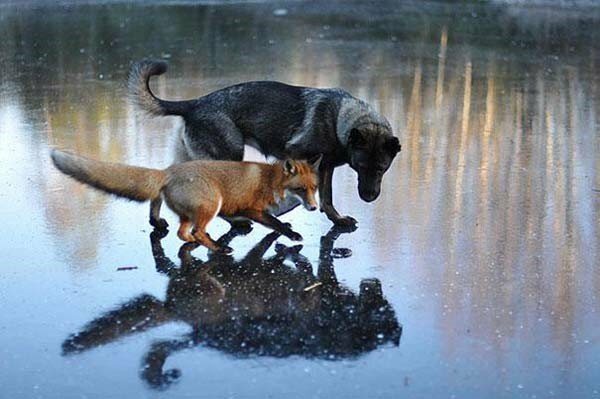 This real-life “fox and hound” have been friends ever since. 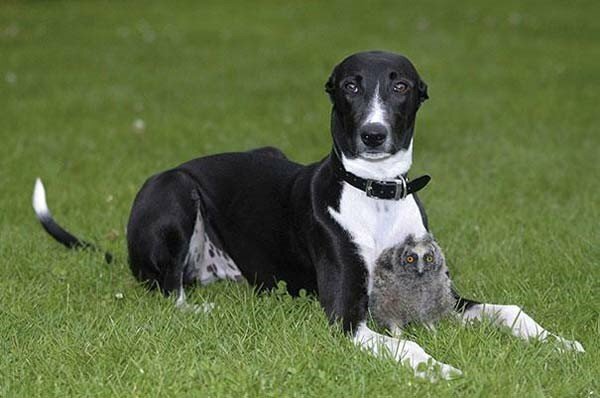 Torque adopted the owl chick when he was only 6 months old himself, but he became a great mom to the bird. 3.) 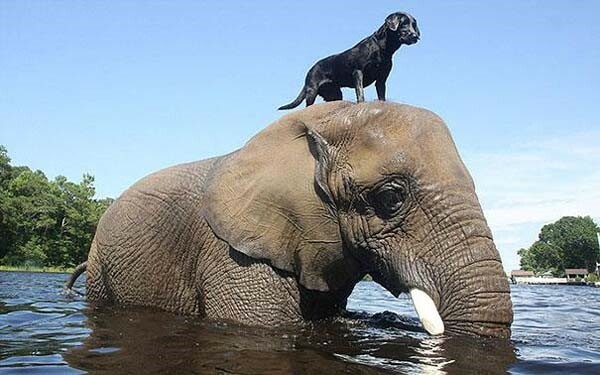 Bubbles the elephant and Bella the black lab. Even though Bella is a fraction of Bubble’s size, they are best buddy. They love swimming and playing together. This duckling’s mom was killed by a fox, but Fred stepped in as a surrogate parent. Mabel became a family pet after being injured. 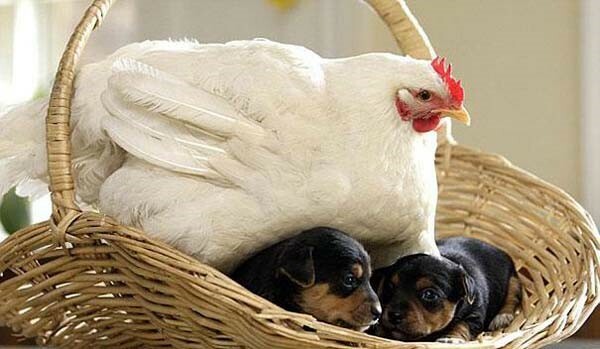 When she came inside, she began looking after the family’s puppies. Aww. Milo took Bonedigger as a cub under his wing, because the little lion had a metabolic bone disease. 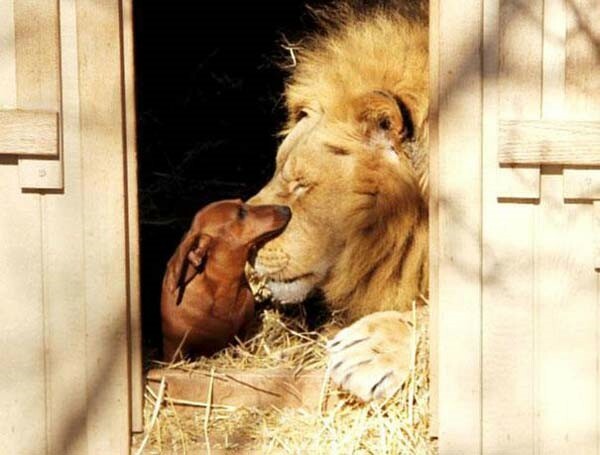 Now, the lion is still best friends with Milo and his friends Bullet and Angel. 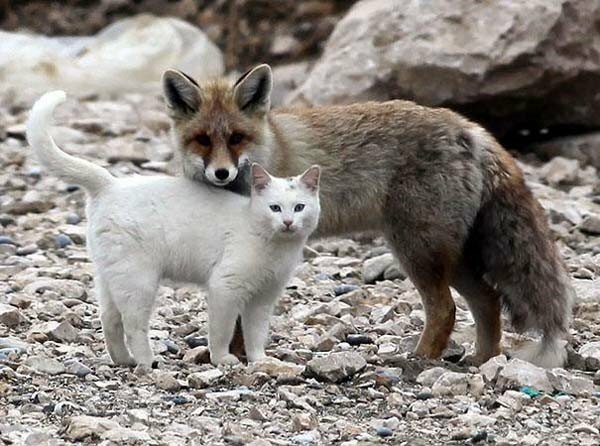 These two were spotted playing on the shores of Lake Van in Turkey. Their wild friendship is adorable. 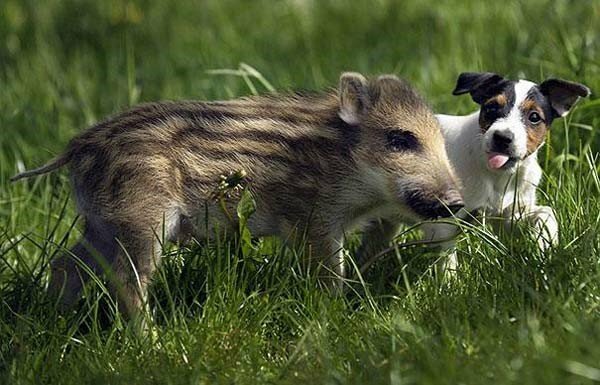 This wild boar piglet was found starving in a field. A family rescued him and their Jack Russell Terrier befriended him right away. 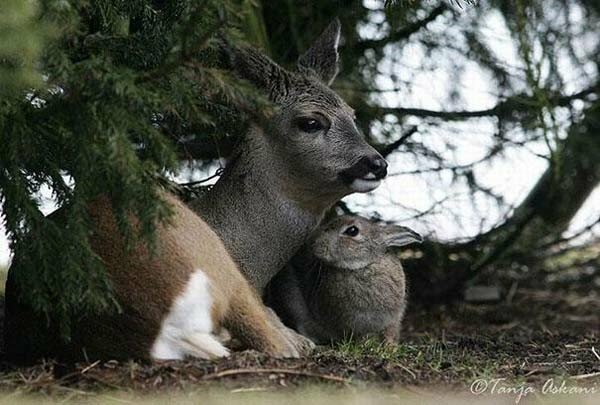 An animal photographer caught this real-life Bambi and Thumper playing. Too cute for words. 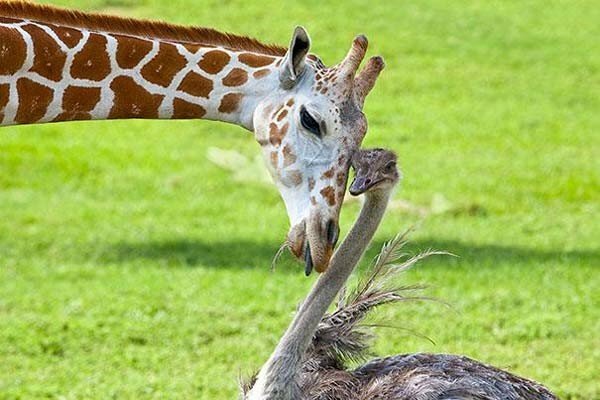 The two met at Busch Gardens on a 65-acre enclosure. The space is completely open, they just choose to be around each other. 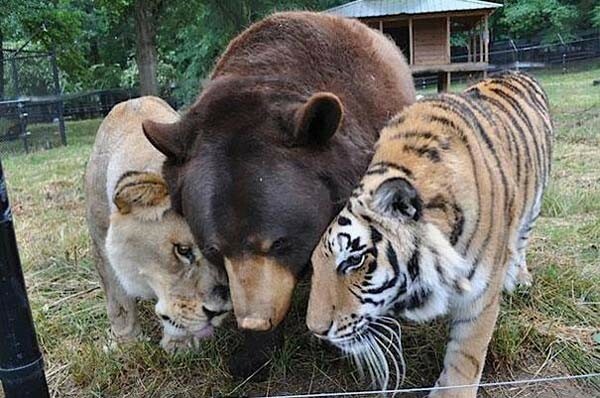 These three animals were kept by a drug dealer, but were rescued together. Now, at the rescue, they are three happy and healthy friends. These two were raised at Busch Gardens Tampa together. Even as adults, they are friends. This couple visits schools together. 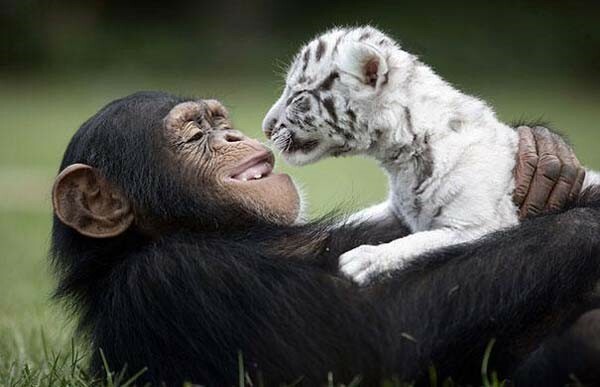 Together, these two live at an endangered species reserve in the US. 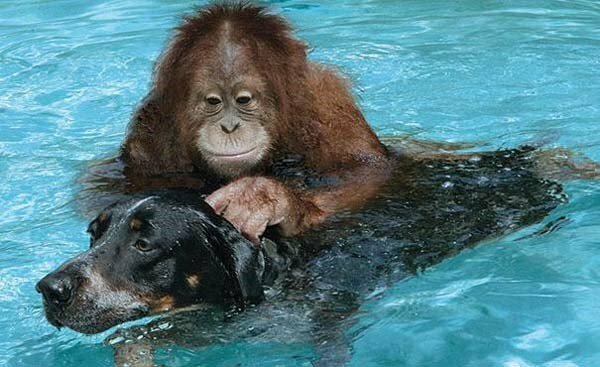 One day, Roscoe followed the orangutan and her handlers home. He never left. Kate adopted Pippin as a fawn. Eventually, the deer moved back into the forest, but still visits the family from time to time. 15.) Anjana the chimpanzee and tiger cubs The tiger clubs were flooded out of their enclosure during a hurricane. Luckily, Anjana and her handler were happy to take care of them. This entry was posted in 4e-3e SEGPA, 6e-5e, 6e-5e SEGPA, TEXTS and tagged animals. Bookmark the permalink.